We are the experts for the Swiss Transfer Ticket to the trade and general public. RailTourGuide are authorised booking agents for the Swiss Transfer Ticket and we sell these tickets from our office based in the UK. For more information on the Swiss Transfer Ticket please contact us on 0191 246 0708. If you require any information regarding the Swiss Transfer Ticket then please contact us on 0191 246 0708. Travelling deep into Switzerland from Zurich Airport or Geneva Airport, then why not buy this great value Swiss Transfer Ticket! This is a return ticket which allows travel from any Swiss airport or border station to your destination in Switzerland. Each journey must be completed on the day of validation. The inbound and outbound journeys do not have to be on the same route. This Pass is only available for sale to European residents in the following countries: Austria, Belgium, Bosnia-Herzegovina, Bulgaria, Croatia, Czech Republic, Denmark, Finland, France, Germany, Great Britain, Greece, Hungary, Italy, Luxemburg, FYR Macedonia, Montenegro, Netherlands, Norway, Poland, Portugal, Republic of Ireland, Romania, Serbia, Slovakia, Slovenia, Spain, Sweden, and Turkey. 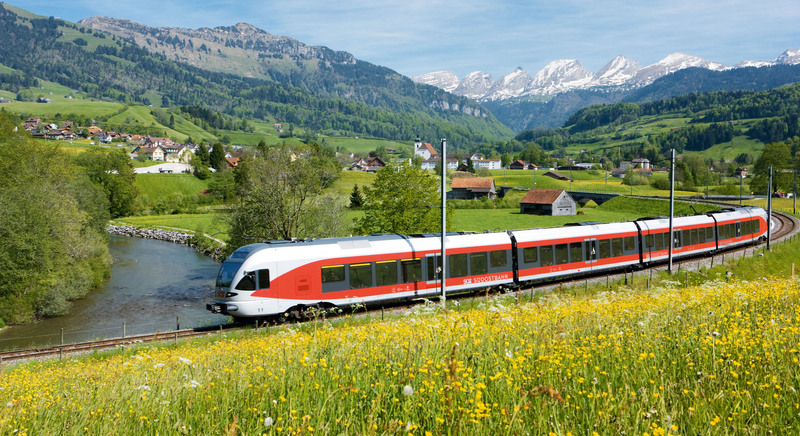 Why choose a Swiss Transfer Ticket? The Swiss Transfer Ticket is a round-trip travel ticket which will take travelers to and from any Swiss airport or border railway station to the destination of their choice in Switzerland. Families traveling in Switzerland with their children can receive a Swiss Family Card. It entitles all children under the age of 16 to travel free of charge within the validity of the pass purchased. The Swiss Family card can be obtained at any station and it’s free. When can i book the Swiss Transfer Ticket? Swiss Transfer Ticket valid for one month.